Angel Whining: Why is Sky still harassing their ex-customers who no longer keen to pursue their fibre broadband contract? Why is Sky still harassing their ex-customers who no longer keen to pursue their fibre broadband contract? 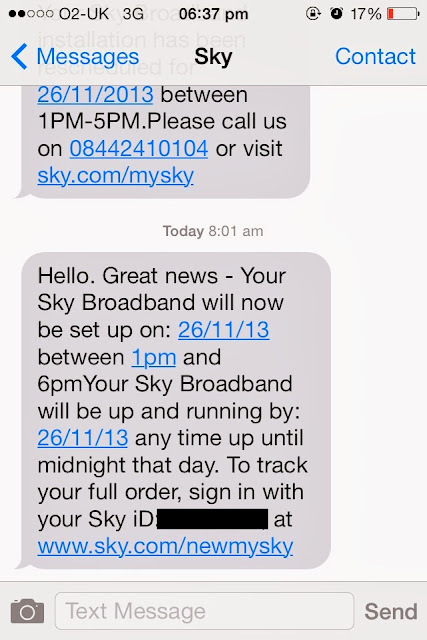 Both husband and I called Sky Customer Service to cancel our fibre broadband on 22 November 2013. As usual, they try to retain us- except for one bloody advisor. It doesn't bother me because I am leaving anyway. It makes no difference if they are nice or not. What is most important is we get to terminate the contract and move on. But I have to be honest I would have reconsider staying with them if they were nice and (I wouldn't have decided to even consider terminating my contract if the customer service wasn't rude on the first day we called in. After all we all know it is Open Reach fault and not theirs). Whatever it is this decision is no longer important. The fact is we have successfully terminated our contract. Even the rude Customer Retention Advisor confirmed no engineer will appear on Tuesday. I log in to my Sky account and I noticed they have retracted the compensation worth £25.00 (for not having our broadband). I would assume they have agreed terminate my contract. Then again I am wrong. 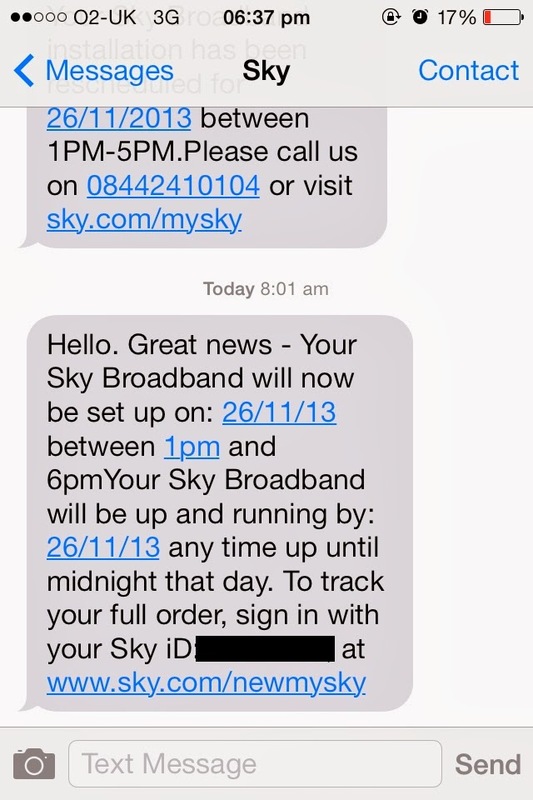 I received a new text message from Sky earlier today notifying me an Engineer will appear on 26 November 2013. What the hell??? I now have to contact Sky again tomorrow just to make sure no one will come over on Tuesday. Why is Sky doing this to customers? Why are they still harassing ex-customers? I bet they will tell me it is system error again. SIGH.